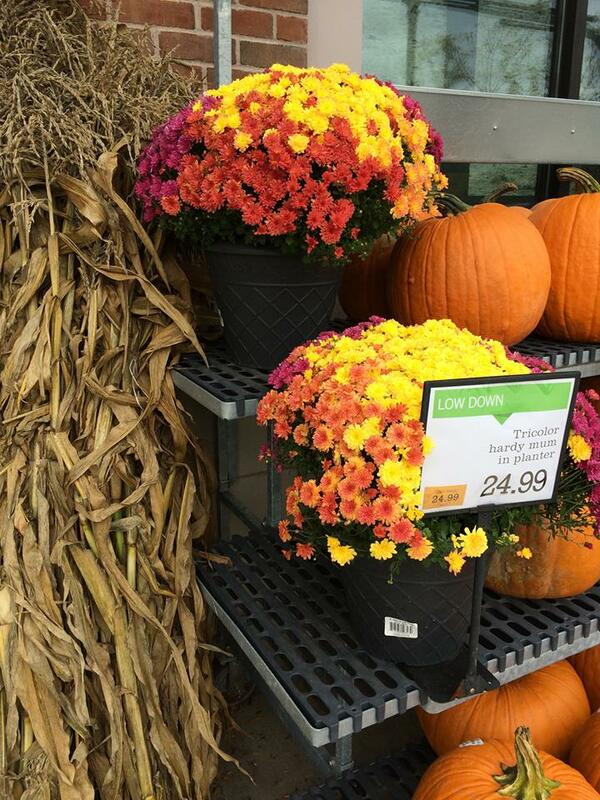 Chrysanthemums, or mums for short, are one of the most popular fall decorations in the U.S., right up there with pumpkins and corn stalks. Have you ever wondered where they came from? Let’s take a look at some of the interesting background of this flower and also what sort of things it’s been used for. The popular garden chrysanthemum is a hybrid, Chrysanthemum x morifolium, and it has hundreds of cultivars in a variety of different colors and flower forms. The original wild version was first recorded in historical records way back in the 15th century BC. The flowers were smaller than those on today’s ornamental plants and all were yellow and more daisy-like. Chrysanthemums are in the daisy family Asteraceae, so this is not surprising. Like daisies and asters, what looks like many petals on a flower are actually many individual flowers that make up a composite flower head. Early on, the plant was used as an herb and was believed by some to have the power of life. Legends say that boiled root extracts were used as a headache remedy. Leaves and petals were eaten in salads and drinks such as chrysanthemum tea in China. Chrysanthemums are native to Asia and northeastern Europe. They were probably introduced into Japan around the 8th century AD. 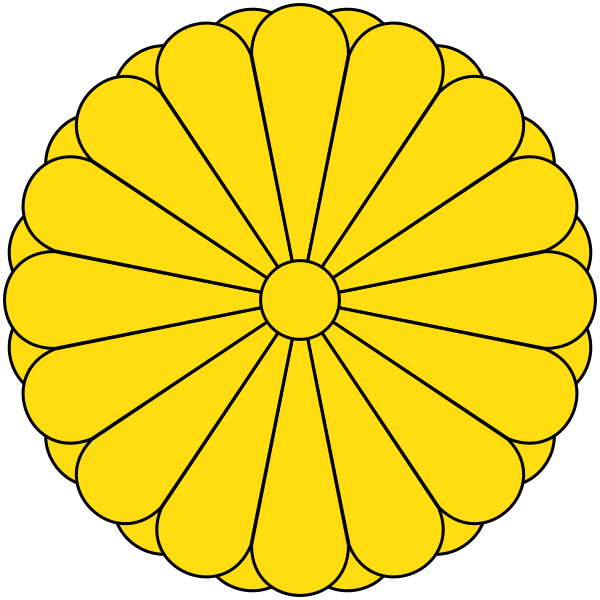 The flower was adopted by the emperor as his official seal and there is still an annual “Festival of Happiness’ in Japan to honor the flower. The first chrysanthemums were brought to the U.S. in the late 1700s from England. 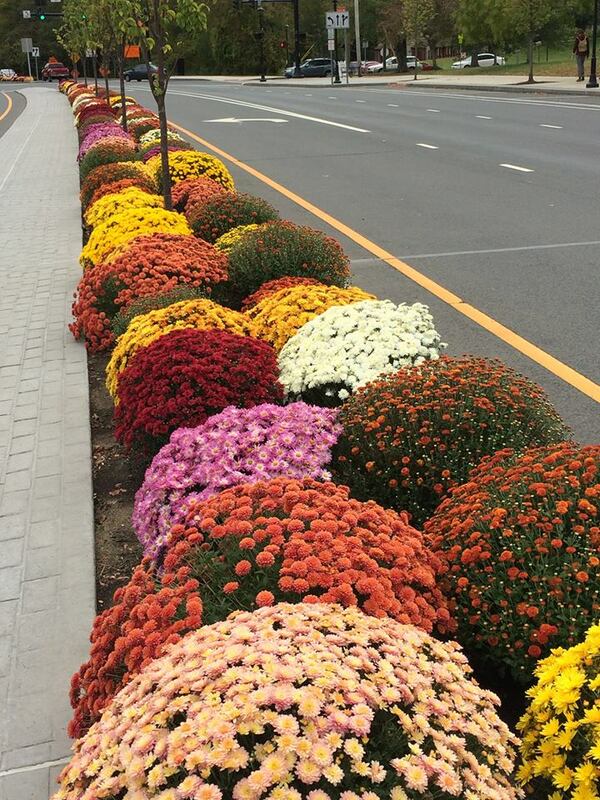 While mums are considered a symbol of happiness and cheer in parts of Asia and the U.S., it is a symbol of death in other places (ie certain cultivars in France, Belgium, Italy, Spain, Poland, Hungary, and Croatia) and is only used for funerals or at gravesites. In the U.S., the mum is the official flower of Chicago and Salinas, CA. It is the traditional flower for the month of November. Historically, resins from this plant were used in incense for repelling insects. Insect repellency is taken a step further in the use of chrysanthemum. The flowers of Chrysanthemum cinerariaefolium are pulverized to remove chemicals called pyrethrins which attack the nervous system of all insects. Pyrethrins are harmful to fish but much less toxic to mammals and birds than many synthetic pesticides and are permitted for use on organic farms. Because they are toxic to all insects, care must still be taken to avoid applying when or where pollinators are active. I usually save all my references for these blogs in a file and, of course, the one you have a question on is one I can’t find my info for. That is frustrating! Sorry I can’t help. Thanks for your interest in the blog.